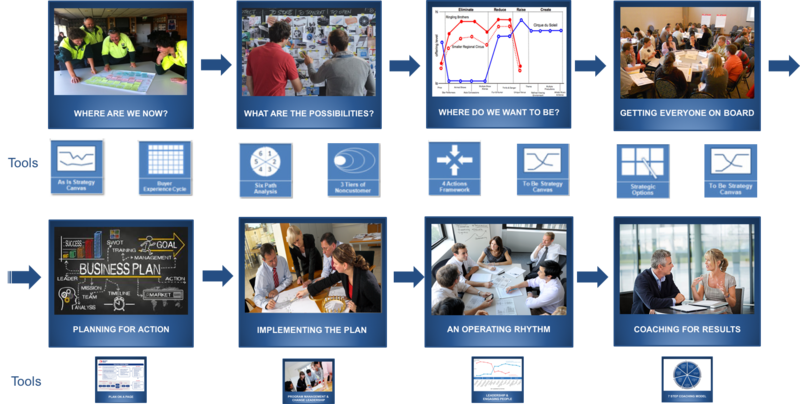 We have put together these modules as a roadmap for effective strategy and change design and implementation. This process engages impacted people from the start and combines decades of experience with tested methodologies from leading researchers around the world to reverse the 80% failure rate usually associated with strategy and change implementation. ​Talk to us about how we can help you with effective strategy and change design and implementation in your organisation.